Having completed her PhD in the Department of Sociology at City, Gemma re-joined as a Lecturer in Criminology in September 2015. Gemma has a Masters by Research (MRes) in Public Policy and Management from Birkbeck, University of London and a BA (Hons) in Politics from the University of the West of England, Bristol. 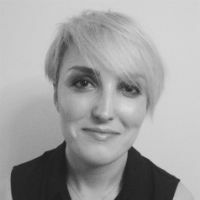 Gemma has also worked at the University of Winchester (teaching criminology) and Birkbeck, University of London (teaching social policy). Prior to commencing her PhD, Gemma worked as a researcher in the House of Commons and as a policy officer for a national criminal justice charity. As such, she has extensive experience of working on criminal justice consultations and legislation, speech-writing and briefing on political issues. Gemma continues to undertake research and consultancy work for several criminal justice charities. Gemma sits on the steering group for the Women, Crime and Criminal Justice (WCCJ) Network of the British Society of Criminology. She is also a member of the European Society of Criminology and the Political Studies Association. Gemma's research interests include penology and penal reform, criminal justice policymaking, the courts and courtroom interactions, and gender and crime. Gemma's PhD focused on the interrelationship between the women’s penal reform network, the news media and policymakers at the crime-media nexus. With unprecedented access to over thirty policy elites from politics and civil society, the research investigated penal reform strategies for women and how they have developed and augmented under changing governments and the media spotlight. Gemma continues to provide advice to organizations based on the results of this research. Gemma is an active researcher in the criminal justice field and recently worked on a study investigating magistrates’ knowledge of and confidence in community sentences for women offenders. Her current project investigates women's compliance with community sentences in two probation areas. Birkett, (2017). Media, Politics and Penal Reform: Influencing Women's Punishment. Palgrave Macmillan. ISBN 978-1-137-58508-0. Birkett, (2015). The role of the media in women’s penal reform. In Annison, J., Brayford, J. and Deering, J. (Eds. ), Women and Criminal Justice: From the Corston Report to Transforming Rehabilitation (pp. 231–247). Bristol: Policy Press. ISBN 978-1-4473-1931-3. Birkett, G. (2014). Politics, power and gender: Reflections on researching female policy elites in criminal justice. Reflexivity in Criminological Research: Experiences with the Powerful and the Powerless (pp. 233–246). ISBN 978-1-137-37939-9. Birkett, Sentencing Women in the Transformed Probation Landscape. In South, N., Brennan, K., Milne, E. and Turton, J. (Eds. ), Women and the Criminal Justice System: Failing Victims and Offenders? Basingstoke: Palgrave Macmillan. Birkett, G. (2019). Transforming women’s rehabilitation? An early assessment of gender-specific provision in three Community Rehabilitation Companies. Criminology & Criminal Justice, 19(1), pp. 98–114. doi:10.1177/1748895817743286 . Birkett, G. (2018). Influencing the Penal Agenda? The Justice Select Committee and ‘Transforming Justice’, 2010-15. The Political Quarterly, 89(2), pp. 217–226. doi:10.1111/1467-923x.12480 . Birkett, G. (2018). Introduction: The Penal Question. The Political Quarterly. doi:10.1111/1467-923X.12479 . Birkett, G. (2016). ‘We have no awareness of what they actually do’: Magistrates’ knowledge of and confidence in community sentences for women offenders in England and Wales. Criminology and Criminal Justice, 16(4), pp. 497–512. doi:10.1177/1748895816632852 . Birkett, G. (2014). Penal reform discourse for women offenders: Campaigners, policy strategies and 'issue reframing'. Crime, Media, Culture, 10(2), pp. 115–132. doi:10.1177/1741659014538641 . Birkett, G. (2013). 'Transforming rehabilitation' for women? A view from the courts. British Journal of Community Justice, 11(2-3), pp. 149–152. Birkett, G. (2013). Tessa West, The Curious Mr. Howard: Legendary Prison Reformer. Punishment & Society, 15(3), pp. 325–327. doi:10.1177/1462474513479092 . Birkett, G. (2012). David Faulkner and Ros Burnett, Where Next for Criminal Justice? Punishment & Society, 14(5), pp. 634–636. doi:10.1177/1462474512460138 . British Society of Criminology. (Conference) Sheffield, UK. (2017). 'Magistrates' Knowledge of and Confidence in Community Sentences for Women in England and Wales'. City Conference Centre, Stockholm (2015). ‘The Role of the British Media in Women’s Penal Reform’. Charles University Prague (2014). ‘Rehabilitating Female Offenders: Viewpoints from the Magistracy’. (2014). ‘Where are the Prams?’ Centre for Community and Criminal Justice Studies, University of South Wales (2013). ‘Politics, Power and Gender: Observations on researching female elites in criminal justice’. University of Wolverhampton (2013). ‘Penal Reform Discourse for Women Offenders: Campaigners, policy strategies and issue ‘reframing’. Keble College, University of Oxford (2013). 'The Future of Benches’. Cardiff Civic Hall (2013). ‘Media, Politics and Penal Reform’. University of the Basque Country, Bilbao Spain (2012). A Timewatch Guide: Crime and Punishment. BBC Four Appeared as an academic expert. From the death penalty, to laws against homosexuality, Britain's criminal justice system has undergone momentous change in the last 70 years. This Timewatch Guide examines how television has played a crucial role in documenting these seismic shifts in British law and policing. Looking back through the Timewatch back catalogue of documentaries and a host of BBC archive rarities, the programme reveals how historians and filmmakers have not only chronicled these profound changes in law but also managed to shape public opinion.